If you’re replacing or installing a new window, there are many decisions that you’ll need to make. One of these is which frame material you’re going to use. uPVC is a popular window frame material. It’s a type of plastic that’s easy to source, low maintenance and durable. But are uPVC frames right for your windows? To help you decide, we’ve come up with a list of uPVC’s pros and cons. uPVC is low maintenance. uPVC windows can be easily wiped clean with a damp cloth, and don’t need treating with anything. uPVC is rot and corrosion resistant. It won’t rot in wet conditions, and isn’t susceptible to corrosion. uPVC is durable. 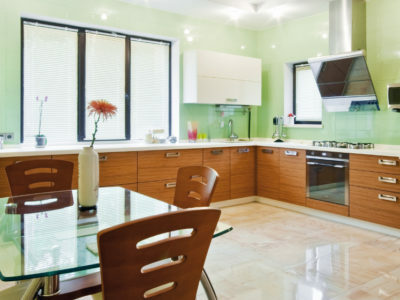 It won’t get damaged by extreme weather and won’t fade or degrade under UV light. uPVC is energy efficient. It’s a very good insulator as it doesn’t conduct heat. So uPVC windows will keep the heat in your home and save you energy and money. uPVC is long-lasting. If uPVC windows are good quality and have been installed correctly, they can last over 35 years. uPVC is affordable. uPVC frames are generally cheaper than other window frames, as plastic is less expensive than wood or aluminium. uPVC is versatile. Many people choose to install white window frames because they look sharp and bright. But you can also get uPVC frames in lots of different colours, which can be handy if you want to coordinate your windows with your property. 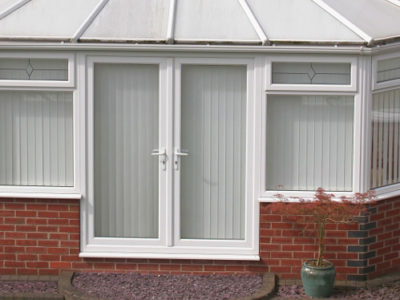 Although it’s generally very durable, uPVC can become brittle over time. This means that it can shatter or splinter when put under extreme pressure. uPVC is not particularly environmentally friendly. Its production contributes to the amount of carbon dioxide in the atmosphere. uPVC frames also contribute to waste levels, as uPVC isn’t biodegradable. uPVC can look cheap. Compared to other window frame materials, like wood and aluminium, uPVC can look poor quality and low value. So uPVC window frames have a range of advantages and disadvantages. If you decide you want uPVC window frames, and need to find a professional to source and fit them, we can help. Fill in our online form and we’ll connect you with up to 4 local contractors. Or to find out about other types of window frame, take a look at our information on wood and aluminium.